Derek Watts has been a journalist for more than 25 years, presenting on South African television since 1985. Derek has been an anchor and presenter on Carte Blanche since the programme's inception in 1988. Derek specialises in MC work, awards presentations, product launches and guest speaking. He can also use video material on request. Derek was voted the Best TV Presenter in South Africa in 2004/5/6/7, as well as winning the SAB Environmental Journalist Award and the Star Tonight Best Actuality Reporter award. Derrek also has a new talk show called "Inspirational Heroes on the Carte Blanche Beat”. Derek’s professionalism and excellence is a result of a hardy apprenticeship, including a stint as company commander in the Rhodesian bush war and cadet reporting on the Rhodesia Herald. Frustration from the days of not being allowed to report on the war, the security situation, the economy, the government, the banned people and organizations instilled in him the passion for hard line investigative reporting. This passion is evident in his popular corporate presentation 'You have the right to know it all'. 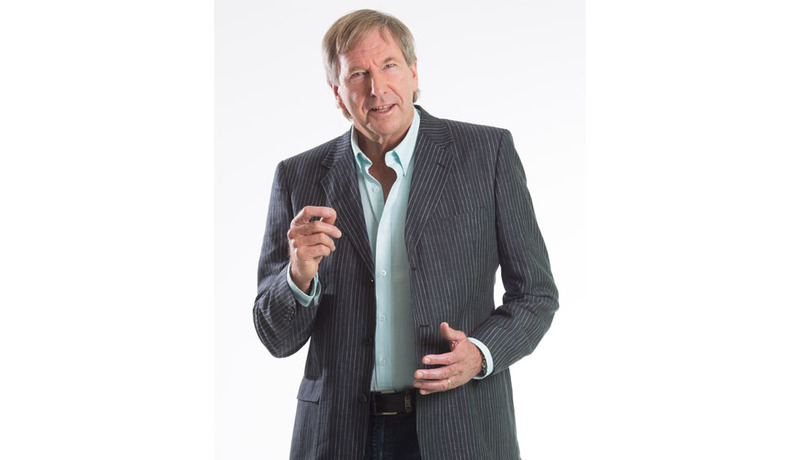 Derek Watts is charming, quick on his feet, incredibly intelligent and has the repartee, empathy, easy manner and ready smile required of both a great presenter and a highly professional MC. You simply cannot do better than Derek Watts for your event.